My Club 8 Review 2.0: Hemp products with an identity crisis? My Club 8’s prelaunch compensation plan was a compliance mess. Affiliates signed up and were paid to recruit affiliates, with an optional autoship further boosting recruitment commission rates. Affiliates marketing My Club 8 claim when My Club 8 launches, the company will switch to a ‘new and improved Unilevel Compensation plan that pays 8 Levels in depth‘. Until then, My Club 8’s prelaunch compensation plan is a blatant pyramid scheme. Post launch My Club 8 did switch compensation plans, although the one referenced above was ditched at the end of April. Today we take a look at and review My Club 8’s current MLM offering. The My Club 8 website provides no information on who owns or runs the company. In prelaunch this might have been excusable (up to a point), but for an MLM company that has since well and truly launch it’s unacceptable. In my My Club 8 prelaunch review, I sussed out that Laguna Blends was behind the company. Laguna Blends at the time was headed up by CEO and President, Ray Grimm Jr., who was assumed to also be running My Club 8. In April Laguna Blends announced it had acquired Isodiol for $6 million dollars, with ‘additional details around the formation of management and consolidated operations will be provided in the coming weeks‘. In June Laguna Blends renamed itself Isodiol International Inc.
A press-release on the Isodiol International website cites Marcos Agramont as CEO and Director of the company. There’s no mention of Ray Grimm Jr. and neither Laguna Blends, Isodiol International or My Club 8 appears on Grimm’s LinkedIn profile. Marcos Agramont is still CEO of Isodiol International, but whether he’s running My Club 8 as well is unclear. Bottom line? It shouldn’t be this difficult to work out who’s running an MLM company. Product details during My Club 8’s prelaunch were sketchy, with Nano Drops the only available product. 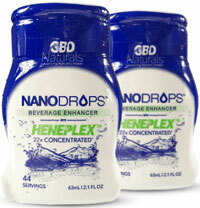 Nano Drops are still available for $19.95 a bottle. Various My Club 8 product ranges are also available in bundle packs. Whereas My Club 8 had a fully fledged MLM compensation during prelaunch and their initial launch, it’s since been scrapped for a simple three-level deep commission structure. My Club 8 affiliate membership is free. I get the feeling that while My Club 8 intended to be a typical MLM offering, compliance saw them scrap their plan and replace it with a simple three-tier commission structure. My Club 8’s compensation plan is about as simple as you can get and is about as bare-bones MLM as you can get. As far as the products go, there is some cross-over with Isodiol International but My Club 8 has enough exclusives to hold its own. Still as a My Club 8 affiliate, the concept of competing with a parent company is strange. To that end I’m not really sure where My Club 8 fits into Isodiol International as a corporation. Both are faceless on the management side of things and for an MLM company, which is all about networking, that leaves My Club 8’s website and social profiles feeling stale. I’m also not sure on the future of My Club 8, as they seem to be wanting to distance themselves from the MLM industry. Our Story is the Buzz, Not our PRODUCTS! It’s pretty simple, we started Club8 to get you healthier, not high, to make your life more rewarding, not less. At Club8, we’re more than Hemp enthusiasts, we’re Hempioneers—a movement of visionary PEOPLE who recognize the infinite possibilities this wonder plant has when it comes to creating a better life inside and out for everyone that uses it. Through our online buyer’s club, Club8 is giving people unheard-of access to the most innovative, purest proprietary blends of Adaptogenic Hemp Oil products ever created. This marketplace is more than a store, it’s a social commerce community of individual people with heart and PURPOSE. MLM companies don’t refer to themselves as “buyer’s clubs”, and the claim My Club 8 isn’t about their products is certainly strange. This I feel might be the legacy of My Club 8’s recruitment heavy prelaunch and initial launch compensation plan. By focusing so heavily on recruitment, My Club 8 attracted affiliates who expected to be paid on recruitment. In an MLM company this typically comes at the cost of retail sales. By trying to pass themselves off as a buying club, My Club 8 appear to be trying to justify a business that is mostly made up of affiliates buying product each month. Autoship in the original My Club 8 compensation plan boosted commissions and, while it’s no longer a defacto requirement, My Club 8 has already attracted affiliates who were keen on that model. One could of course give My Club 8 the benefit of the doubt, as retail sales are possible, but I’m not convinced they’re taking place in any significant number. In any event, a more detailed compensation plan is required and management details provided if My Club 8 is to be taken seriously as an MLM company. Assuming that’s what Isodiol International still want the company to be. …as further set forth in the Policies and Procedures, information compiled by or maintained by MyClub8, including Line of Sponsorship (LOS) information (i.e., information that discloses or relates to all or part of the specific arrangement of sponsorship within the MyClub8 business including, without limitation, member lists, sponsorship trees, and all MyClub8 Member information generated there from, in its present or future forms), constitutes a commercially advantageous, unique and proprietary trade secret of MyClub8, which it keeps as proprietary and confidential and treats as a trade secret. Sounds like pyramid activity continues. Also, can they claim to be a buyer’s club without following state buyer’s club regulations? Troy Doly just joined them. Way too many red flags. Troy Dooly who was part of a ponzi scheme (Zeek Rewards ) and got busted by the SEC is one. Lots of questions about legitimacy of the products. Contain very little hemp and the hemp may not come from where they say. my club8 is the biggest scam ive seen in a long time.. we finally got enough of us together to file a class action suit against them and in particular Troy dooly..
mr steve munson is also named in our suit for skimming commissions on those of us who bought into his hemp30 web site..
basically its a mess.. we have several people with expired products with old labels under the newer ones and another ladies oil called dream arrived with maggots in it and club8 has refused her a refund..
it gets worse but thats the gist.. its not really set up to make money as a ds company, the only ones making money are already being paid by isodil .. its bad guys run from this one! My Club 8 is still in pre-launch so I don’t know where you got the info that it has already been fully launched but you are incorrect. What, almost a year of prelaunch? Also in PRE-LAUNCH which they are STILL IN, the comp plan goes 5 levels deep and when fully launched it will go 8 levels. Well hey you’re the great authority here with your obviously biased review. Whatever you say MUST be true. All I know is an MLM company isn’t in prelaunch for almost a year. Business failing != perpetual prelaunch. For your info My Club8 is not registered as an MLM nor is Isodiol. The company is an affiliate marketing company with an eye on breasking the mold. I have heard of several people getting refunds on mistakenb products and such. MLM comp plan = MLM company. Marketing verbiage doesn’t change that. There is nowhere to register an MLM company as such either. OZ you are incorrect In the SEC filing you have to declare your marketing plan and club 8 is an affiliate marketing company. I know if it looks like a duck it’s a duck LOL but they are trying to make a difference. The products are top Quality and they are part of the largest CBD Innovative group in the world. This is a legal viable business model. Saying “they scrapped” the first compensation plan is stupid. That was a promotion not a comp plan. And being flexible , willinig to bring innovative products to the market in a FREE market system where individuals can be in charge of their destiny is where this type of business model comes from. There have been many bad apples in this area but not all are bad. We have a great product and some great people! OZ you are incorrect In the SEC filing you have to declare your marketing plan and club 8 is an affiliate marketing company. This may come as a shock to you, but an “affiliate marketing company” can be an MLM company. The two are not mutually exclusive. MLM comp plan = MLM company. And if you don’t have significant retail activity in MLM, you’re in trouble. Oz: "I for one do not like to call anything a scam before it is proven to be a scam...."
Oz: "Article updated with news of Mufareh’s “workaholic” exit-scam. So much..."
Lance: "First I would Like to state Im part of the prelaunch with Revv Card, I for one do not..."
Oz: "Pfft of course you don’t owe anything. Just draft up some terms and conditions and..."
Gregg Evans: "No debt at all, if you don’t count how much money they owed! By your logic,..."